In this politicised world of modern age where within or outside the Muslim Ummah (world), Islam has been conceptualized by misconceptions, stereotyping and misinterpreting the Islamic values and codes of practice by the people for their own vested interest, the role and responsibility of Journalists and academics are far more important than ever before. Today, the role of a journalist has become globally important and challenging. Media has the capacity to shape public opinion and its own strength to change public perception on critical issues, nevertheless, the primary goal of the media is to inform, criticize and educate the recipients on the subject rather than exploit the subject aiming for commercial and political gains. Journalism which is the core element of the media is a discipline of collecting, verifying, analyzing and presenting the stories in a fair and neutral manner including trends, and issues and present it to the public through the media contents. While the global media is playing a major role in providing timely information and knowledge on current affairs using modern technology; the misuse of technology is also crossing the ethical limits of journalism. In this situation, what is the role of journalists, writers and academics? It is commonly believed that Journalists, writers and academics work in the common interest of the public. And the supreme interest of all human being is to live peacefully and respectfully with others. Therefore, it should be the role and responsibility of journalists that when they make stories especially related to someone’s faith an extreme care must be taken that the contents should be thoroughly investigated and validated. Any content that may create high ratings and profit for media outlets but create unrest in the recipients gives no excuse to the writers and story-makers. Therefore, I believe, it is the prime responsibility of the Muslim Journalists, writers and academics and Islamic media that educating through knowledge about the true Islam and its codes of practice should be their top priority. The writers, journalists, and publishers should work closely with the Islamic Scholars and Religious leaders and bring their knowledge to the public through their writings. In Australia, after terrorism, Halal has been another selling story of the media in recent years. There are people who are trying to link the cost of Halal Certification with financing to terrorism. Even though there has been no evidence whatsoever yet that the funds being generated through Halal Certification by the Halal Certified bodies or that they have any link with the fanatic or extremist groups, still space is given to those writers and columnists who are campaigning to ban Halal products in Australia. It is also true that some writers boldly demonstrated their courage and professionalism in bringing out the truth on the surface by documenting facts and figures in their reporting that how much beneficial is the Australian Halal industry to the Australian economy. Talking about Halal, I find Muslims in the western world like in Australia are muddled on the authenticity of available Halal products due to the opinionated or interpretational difference between Islamic leaders representing different sects and ethnicities. Regrettably, there are divisions within the Muslim Ummah on the name of sect, culture and ethnicity and that has also divided Muslims on Islamic practices. On the other hand, common Muslim looks for knowledge on Islam as genuine, simple and according to Quran and Sunnah. In this context, journalists, writers, and academics within Islamic world have more responsibility to work closely with religious leaders and scholars and convince them to come out and provide messages of unity and harmony on divisive matters especially issues related to Halal affairs. They can play a vital role in providing valuable service to the Muslims and everyone through publishing information, especially in digital contents, like publishing interviews of Islamic scholars, knowledge-based articles, reporting on Islamic/Halal events. For example; here in Australia the biggest issue is the Halal Certification which is, currently, not a regulatory requirement for Halal industry businesses. Therefore, different Islamic organizations have their own defined procedures and practices of issuing the Halal Certifications and they are in a race of competing each other. The Islamic media and events can bring them together, provide them a platform to discuss their conflicting issues and create consensus among them. Muslim writers, journalists, and academics can play a leading role in creating awareness on the importance of Halal practices based on facts and figures. Subjects like interest-free superannuation, interest-free house loans, and financing are required to have prominent space in the media so that the people have more knowledge and adequate information on them. Periodicals should include interviews and articles of Islamic Scholars and Muftis on Halal Products & Services. The Islamic satellite TVs should hold debates and talk shows on Halal affairs. I must mention here that Halal Expo Australia has laid down the foundation, in 2015, and since then regularly holding International Halal Conference (in Sydney) as a part of Halal Expo Australia, providing a platform to the Halal industry experts, Halal certification bodies, Islamic scholars, interfaith dialogue leaders, writers, journalists and the representatives of the Government departments to meet, speak and seek consensual resolutions on critical issues related to Halal industry in ethical, professional and harmonious relations and publish them in the media for public. In this regard, the theme of the International Halal Conference 2018 is ‘Halal Industry: Growth, Issues and Solution’ where the organizers are inviting international speakers to participate. There is no doubt that significant work is being done in various sectors of Halal industry affairs by various organizations and individuals. Journalists and Writers are producing stories on Islam; academics & trainers are running workshops, training programmes, seminars and conferences, Universities are holding accredited academic programmes. Nevertheless, at the ground level, there are still a lot more to be done especially in the non-Islamic countries as there has been a hype than knowledge among the common public about Islam in many non-Islamic countries. Similarly, more efforts are required by the Halal industry players, Islamic scholars and academics. They should work closely, establish communication with their local governments and related authorities to form a regulatory body. As I mentioned in Australia, there is no regulatory body that can assess and issue a permit to Halal businesses. 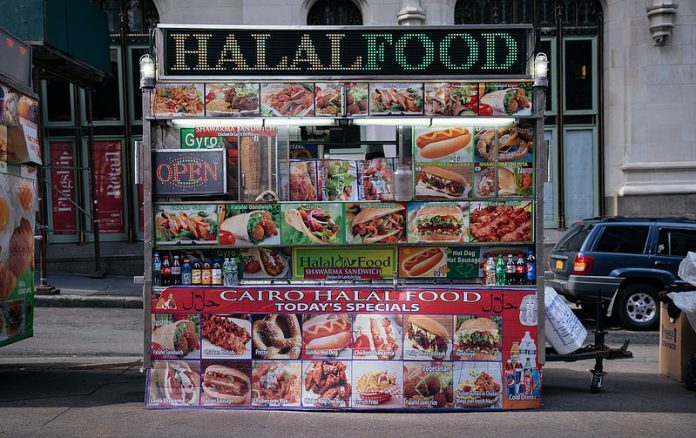 In Australia, there are many Halal Certification bodies operating, some are prominent and some not but they all are running under various Islamic organizations and groups. Yet, their output is limited to only Halal certification dealing with Halal meat and food. These certification bodies need to do more work focusing on educating common Muslims about Halal and Haram and educating non-Muslims why Halal is obligatory to Muslims and Halal is not harmful to non-Muslims.